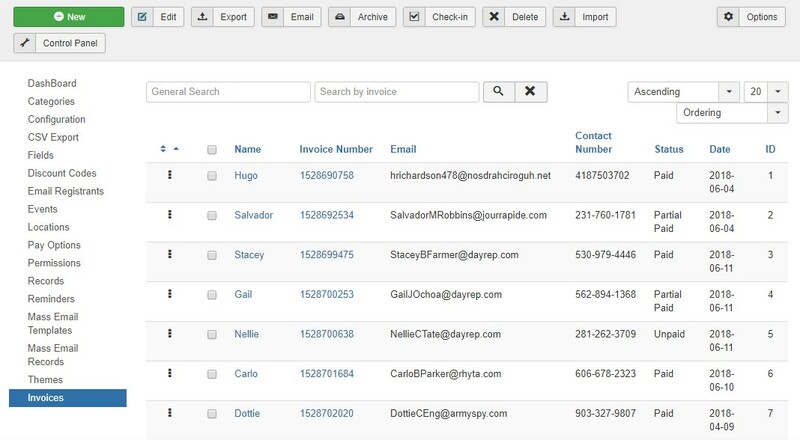 Invoice dashboard is used to create/edit and delete the user invoices, You can change the status from Pending to Paid and change the information. It has the ability to export the invoice data based on Fields choice. To create new Invoice In invoice panel and hit the New button. The New Invoice has different fields like the First name, Last name, Event title, address details, Invoice dates etc with Products option to choose the set the price. 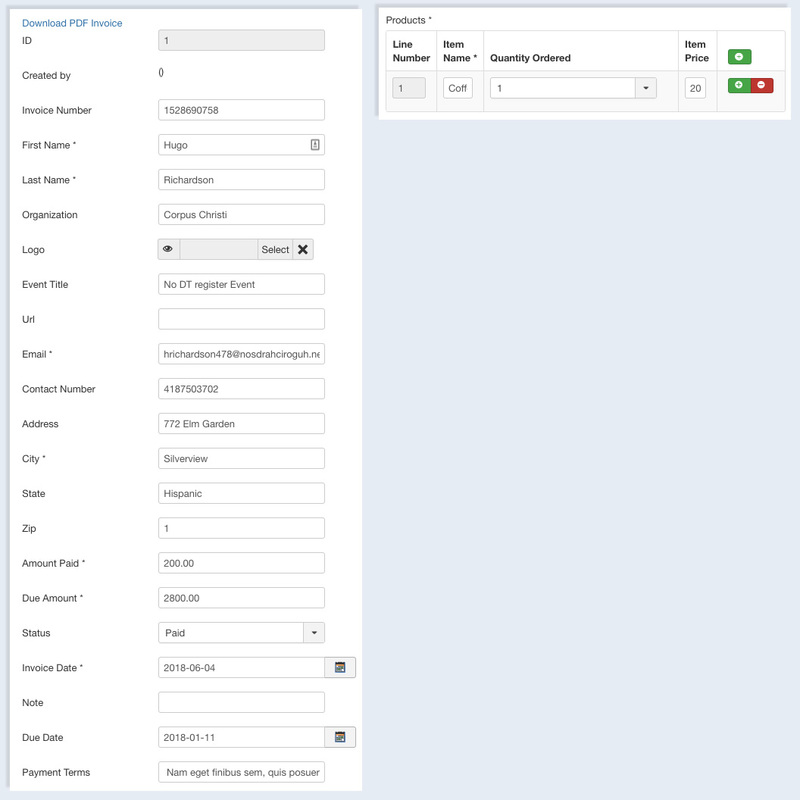 To Import an Invoice on site Click on the Import and select .csv File. To Export Invoices, Select The Invoice you want to import and click on the Export button. It will give options to select the fields you want to import. Select the fields and import the .csv file. 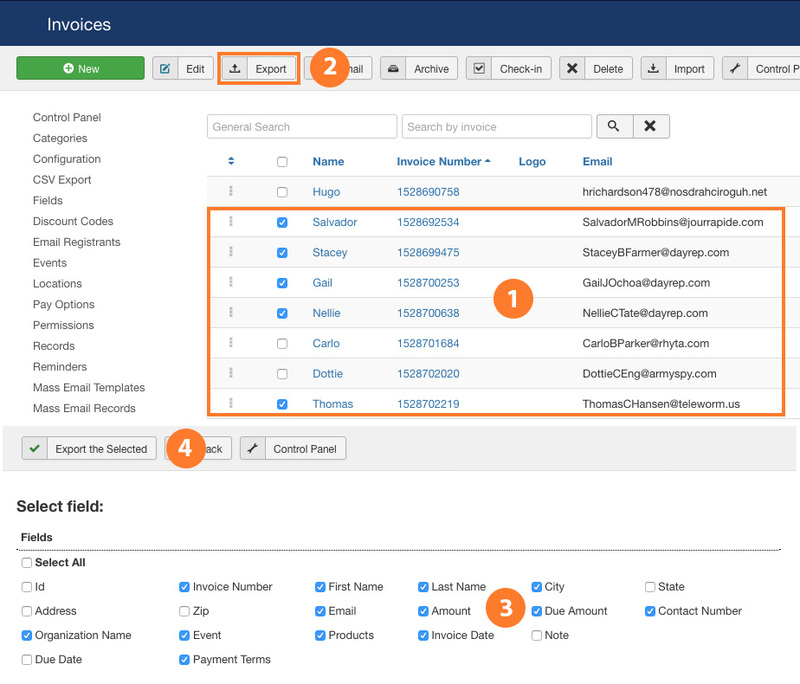 To Delete any Invoice, Just Select the Invoices from Invoice dashboard and click on the Delete button.